Guests of the Acura Grand Prix of Long Beach inspect a Carroll Shelby Cobra on Sunday, April 14, 2019. The vehicle was one of many exotic cars on display. Photo by Stephanie Rivera. There were Porsches, there were Ferraris and yes, there were even Lamborghinis on Sunday during the Acura Grand Prix of Long Beach. 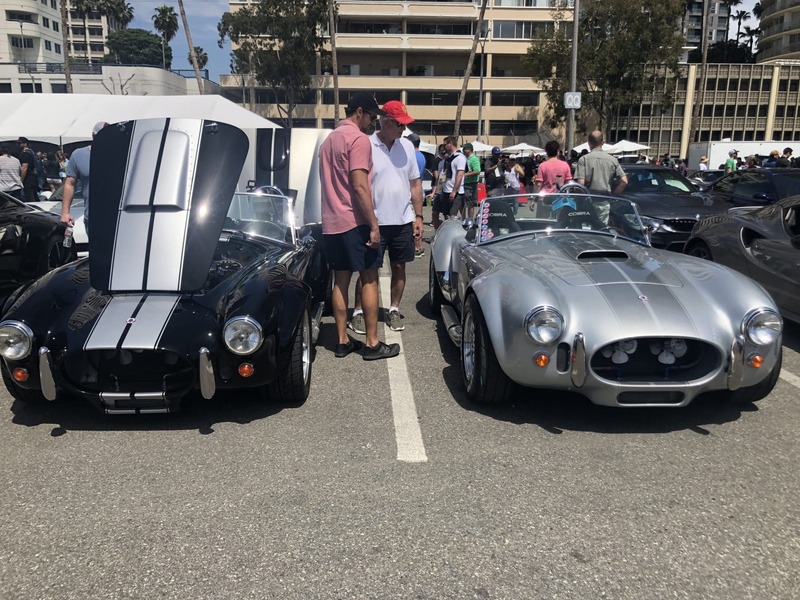 Known as Mothers Exotic Cars Paddock, some attendees of the Grand Prix got the chance to get up close to these very expensive vehicles with high horsepower.